Have you ever read a really good book or managed to finish a really bad one and wanted to talk about it, dissect it and figure out what makes it work or what doesn’t? Several fellow writers and I felt the same way, so we formed the 1st Tuesday Book Discussion Group. Our intent is to learn and share with fellow writers. We meet once a month. Take a guess when……go ahead, guess……..you got it! The first Tuesday of the month! You are just so clever. Each member has selected a month for which they will choose the book, the meeting place, and the questions or points that we will discuss. Our evaluations will focus on the things that we, as writers, want to learn; things like character and plot development, how the author handles backstory, how does he or she keep us turning the pages or what just isn’t working to grab our interest. Each month one of our members will post an evaluation of the month’s book selection along with some commentary. We encourage you to read along with us and share your own thoughts and impressions about the book in the comments section. The book we are reading for our October meeting is Beautiful Ruins by Jess Walters. 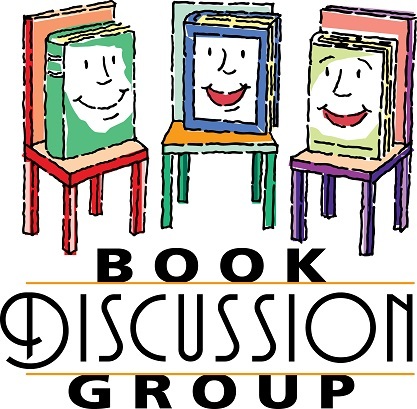 At the moment the book discussion group membership is at capacity. Below is our evaluation of the September selection, The Language of Flowers by Vanessa Diffenbaugh. “Kids who need love the most will ask for it in the most unloving of ways.” ~Unknown. 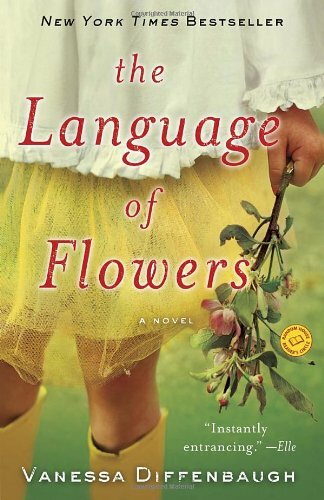 Contrary to the sound of the title, The Language of Flowers is not a romance, it’s not chick lit, and it’s not historical. What it IS, is a very good read. The story centers around Victoria, a young woman, abandoned at birth and shuffled from foster home to foster home; 32 to be exact. At the tender age of 18, she is emancipated from the group home where she had lived for over eight years. Deeply broken and mistrustful, Victoria finds relating to other people at best bothersome, at worst, terrifying. While her relationships with people are often fraught with turmoil, she discovers that she has a gift for floriography, communicating through the use or arrangement of flowers. The story takes Victoria on a tumultuous journey of self-discovery where she experiences painful lessons on what it means to trust others, and more importantly on how to trust herself. We offer you a bouquet of Bouvardia (enthusiasm), Daisies (cheerfulness), and Ferns (sincerity) along with our positive recommendation of The Language of Flowers for your reading pleasure. Theme – how effective was the story in conveying the author’s intended themes of redemption and forgiveness. In the following paragraphs, I will share some of the structural comments that we discussed. If you have not yet read The Language of Flowers, I caution you that the information below may give away the ending. Character development: The overall consensus of the group was that the author did a very good job of creating depth and complexity within each of the main characters. Victoria, though not very likeable, was believable as a product of the flawed foster system. Elizabeth, the foster mom who introduced Victoria to the language of flowers, seemed to have a past that was a little on the convenient side as far as the story line goes, but still you had the sense that she was someone you could know. It was felt that there were several missed opportunities, however, with both Victoria and Elizabeth, for giving the reader a more intense understanding of the emotional scars that they both carried. For example, there was a 15 year divide between Elizabeth and her sister Catherine. At one point Elizabeth makes reference to her sister having planted yellow roses, the meaning of which is infidelity. As Victoria pondered, “Nothing I could think of would make Elizabeth angry enough to give up not only her sister but also these endless acres of flowers for as long as she had. It must have been the worst kind of betrayal.” Unfortunately, that’s about all we learn of the betrayal. Plot: The author used the devise of alternating chapters for describing present day events and then backstory. This tactic worked well until it didn’t; meaning that the author wasn’t consistent in her use of the devise, which did cause some confusion. In general though, the author is a very good job of keeping the plot moving without burdening the reader with unnecessary information. There were a few other consistency issues as well that, while minor, caused a break in the magic for some. Overall the first two-thirds of the book was great, however, we felt that the ending was a little too contrived, too wrapped up into a tidy bow. Theme: It seems to me that while a writer may have a particular theme in mind as they are writing their story, a reader may come away with a different thought. This appeared to be true of The Language of Flowers. The author’s intended theme was that of redemption and forgiveness and while those elements played a part in the story, a far stronger premise seemed to be resilience. My guest post on the In Print Blog.